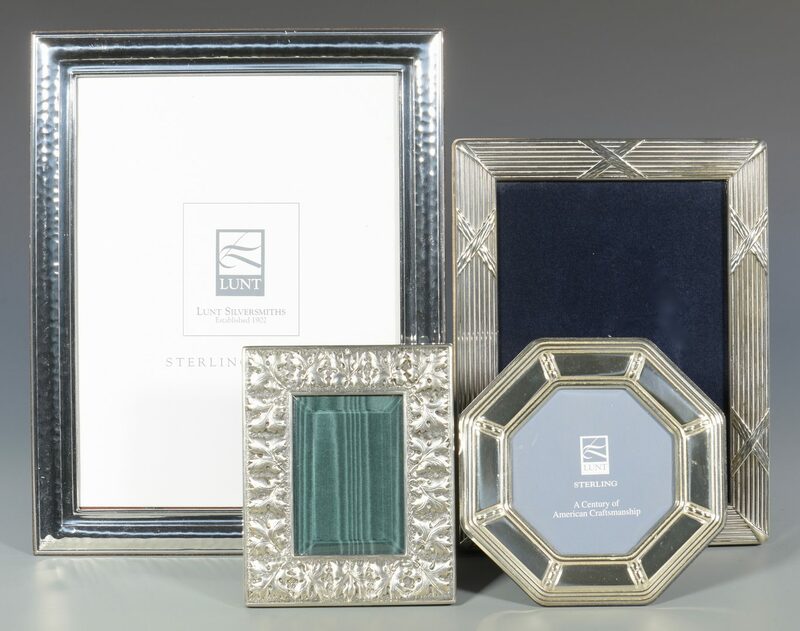 Group of 4 sterling silver picture frames. 1st item: Buccellati sterling frame with repousse leaf pattern and beveled glass insert, 5 1/8" H x 4 1/8" W. 2nd item: Lunt sterling frame with hammered design, 11 1/4" H x 8 3/4" W. 3rd item: English sterling frame with "X" design, 8 3/4" H x 6 3/4" W. 4th item: Lunt sterling octagonal frame: 5 3/8" x 5 3/8". Estate of Jane McKinnon, Lenoir City, TN. CONDITION: Most in excellent condition. 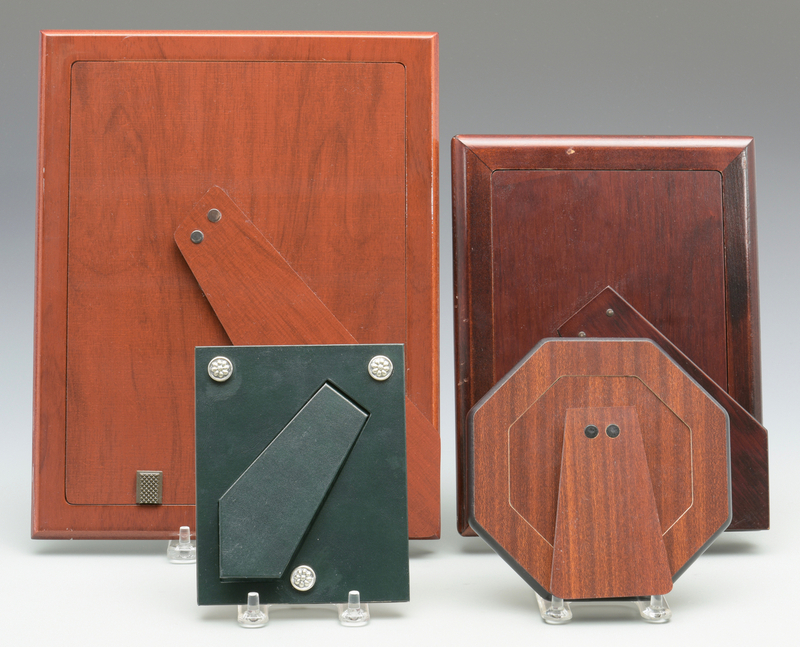 Lunt octagonal frame with 1/8" and 1/4" L shallow dents.